Reason / Fabrics: My Aunt gave me a fresh box of scraps - instead of sorting them by colour into my drawers, I immediately started using them as leaders and enders while I sewed "I'm Blue" ( to come to a blog near you soon). It worked really well and really quickly. It wasn't long before I had these blocks. 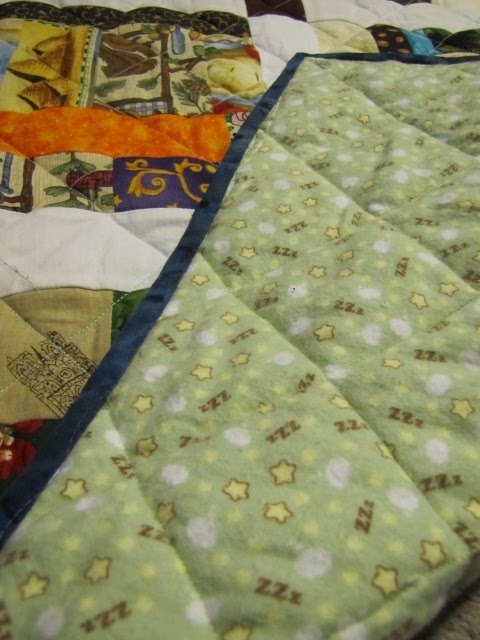 It is quilted with my walking foot. It has a little blue marking pen on it still - that will come out when I wash it. 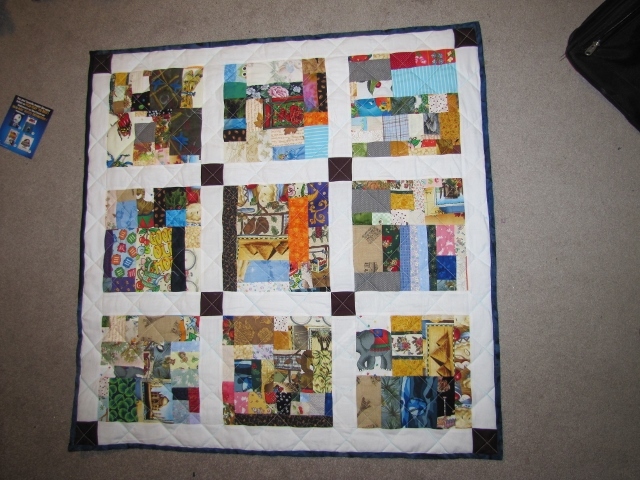 Seriously - who needs a baby quilt? Any showers in your future? Can I mail you one? 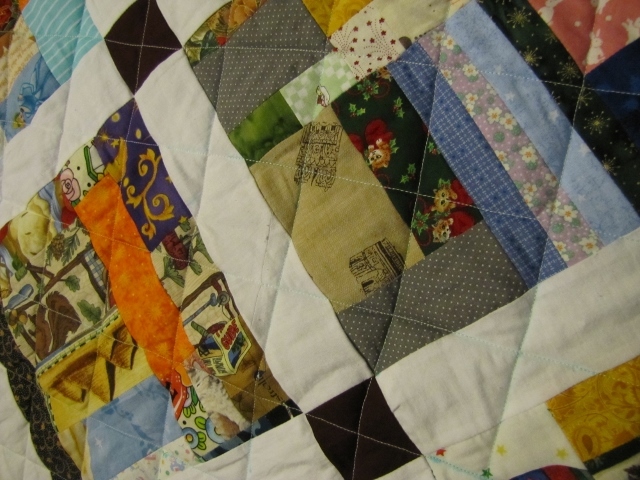 I'm pretty sure I have at least ten, perhaps even a dozen baby quilts hanging about my house.